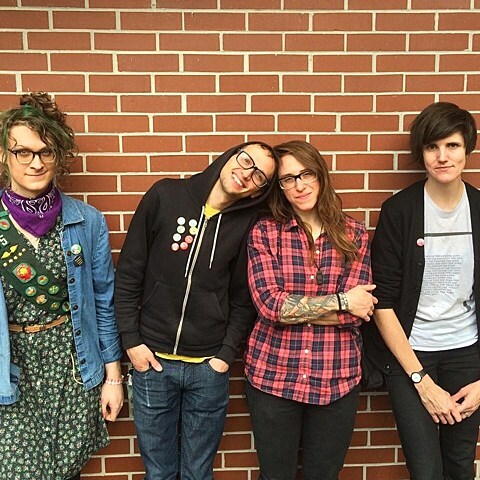 Brooklyn punks Worriers wrapped up a tour with Against Me! last month, and now they’re in the studio with AM! singer Laura Jane Grace working on the followup to 2013’s Don Giovanni-released Cruel Optimist. LJG is producing, and among the musicians playing on the record is drummer Mikey Erg. Worriers are on board for the upcoming She Shreds Magazine NYC showcase (hosted by Don Giovanni Records) happening April 3 at Knitting Factory. It’s a great lineup all around with Mirah, Slothrust, Aye Nako, Mal Blum and DJ SAD 13 (aka Speedy Ortiz’s Sadie Dupuis). Tickets are on sale now.